First PE is very good plugin. :) I am very anxious to use it's new feature. I want it to be more perfect. The following is some issue when I use it(1.9.1b) in IDEA. 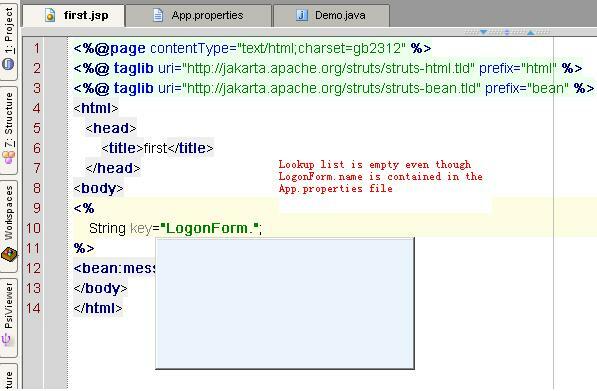 1 Lookup list is empty in java file or in the scriptlet of jsp file even though key name is contained in properties file. 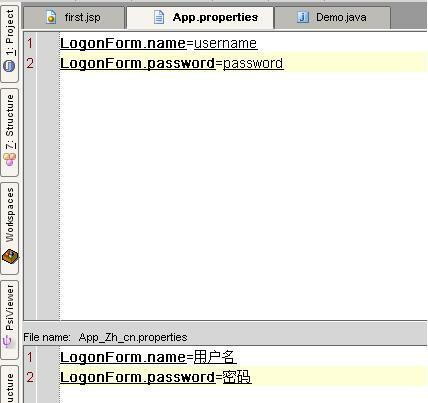 2 Crtl+Q doesn't work in scriptlet of jsp file. The attachment contains some issue pictures. Dmitry Kashin updates PE continually,but I only put my questions. :) Thanks for Dmitry Kashin's hard work. Very, Very strange!!! Can you mail me sample project to test it here? 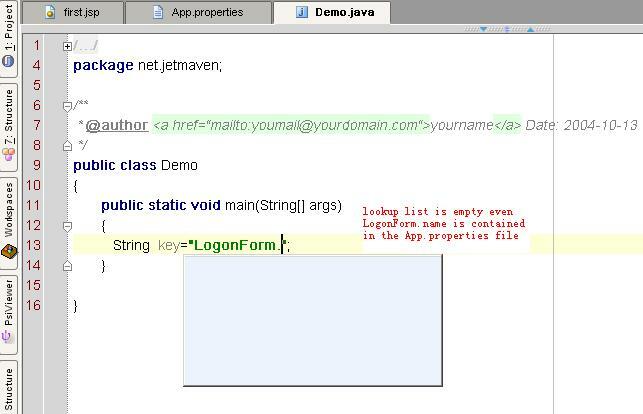 Email in plugin description. 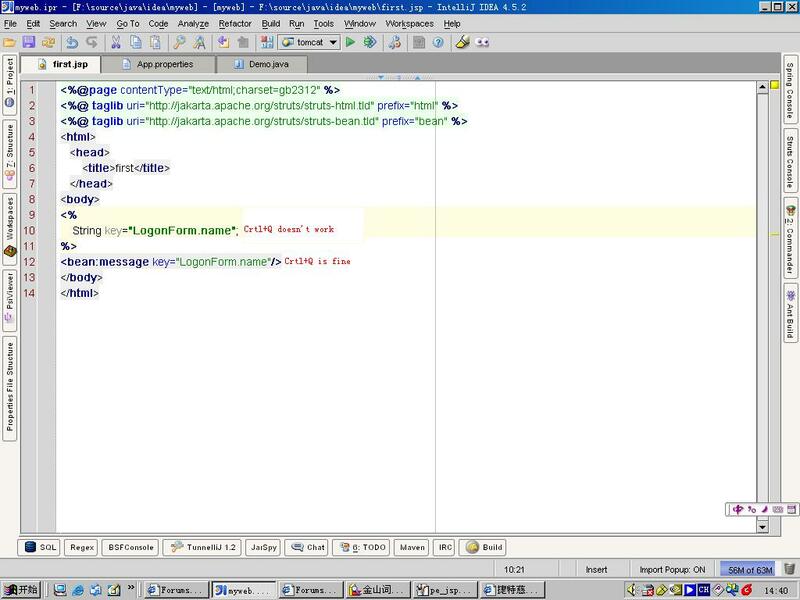 Is lookup empty only if you placed at the end of string literal, try invoke it inside string instead.